We do not pre-screen childcare providers. 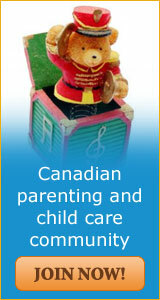 Any childcare provider in Canada can create a free account and advertise his or her daycare centre. We strongly encourage parents to spend the necessary time to screen every provider. Ask, and follow up, on references. Pay close attention to the ad itself, as poorly created ad with spelling errors is generally not a good sign. Do you validate daycare reviews or comments? No. Daycare reviews and comments are provided by parents in the form of an opinion. They are not based on any investigative data, whatsoever. Their purpose is to give you a general feedback from parents who had dealt with the particular daycare in the past. ALWAYS DO YOUR OWN INVESTIGATION!!! Is there a fee to search for a childcare provider? Our service is absolutely FREE for parents. This site was created to assist parents from all over Canada in finding good daycare for their children. If you like godaycare, you may want to mention it to other parents in your community. Who can create daycare reviews? Parents who are either in the process of dealing with a particular provider or have dealt with one in the past can share their experience with others. PLEASE NOTE: this site was created to help parents and kids. As such, we strongly discourage parents from creating negative reviews simply because they have personal issues with the provider. These issues are best addressed in private. What are the search methods implemented on this site? godaycare.com is the most advanced daycare search site in Canada. It allows parents to not only browse daycare listings by city, but to find daycare providers quickly and easily in their local area by postal code, nearest intersection, or home or work address. If you find a daycare in your area, just click the "Show nearby daycares" and we will find other daycares nearby. We put a lot of effort into creating the daycare search engine to save you time and to make your search easy. If you find a better daycare search site just let us know and we will give you your money back, Oh wait, you don’t pay any money to use our service :) ENJOY! How can I create my own list of daycare centers to call? Do I need to create an account to search for a daycare? You do not need an account to find daycare centres. However, we would like to invite you to join our forum and participate by sharing your childcare provider or parenting expertise. We hope to see you there soon! Do I need an account to advertise my daycare? YES, having a FREE daycare provider account gives you access to add or modify many features of your daycare’s ad such as daycare philosophy / description, daycare contact information, daycare’s features and openings. It will enable parents to send email directly to your email address from our site. The account will also allow you to promote your daycare centre to the top of other listings in your city as the featured ad! THIS IS OUR WAY OF REWARDING CHILDCARE PROVIDERS WHO PARTICIPARE ON OUR SITE AND MAINTAIN THEIR LISTINGS! Find more info on advertising your daycare centre here. While on the Forgot Password page, enter the email address that you provided to us upon registration. We will email the password to you. You can obtain the password to your forum account in the similar way.